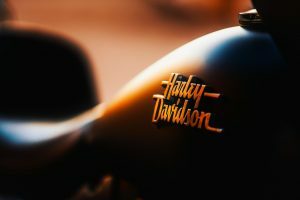 Harley-Davidson—yes, the motorcycle company—reported that motorcycle sales in the second quarter of 2017 are down significantly since the same period last year: about 6.7 percent worldwide and 9.3 percent in the United States. Originally the company had forecast that sales would be “flat to down modestly,” so the downturn is not necessarily unexpected. After all, the company only expects full-year bike shipments, should ship between 241,000 and 246,000 units in 2017 – and that is down between 6 and 8 percent since last year. Essentially, the new projection will now include a decline somewhere between 10 and 20 percent in third quarter production. All that in mind, CEO Matt Levatich said, in a conference call with analysts, that the company will start announcing workforce cutbacks today. So far, that is all the details the company has divulged. Overall (globally), motorcycle shipments were down 7.2 percent on the quarter, and remain down nearly 11 percent through the first half of this year. Revenues from the Motorcycles and Related Products segment were also down year over year in the second quarter mostly because of lower motorcycle volume shipment. largely due to lower motorcycle shipments. In the first half of the year, the motorcycle company showed a net income of $445.2 million on consolidated revenue of $3.27 billion. This, of course, compares against the same six-month period from 2016, which showed a net income of $530.9 million on consolidated revenue of $3.61 billion.